We provide an alternative to expensive grid connections, with their increasingly high ongoing metered power costs. We audit your power use and tailor your off grid power system design accordingly, with full return on investment and cost of ownership comparisons. We use quality technology, not confined to a few particular brands but selected for best value and fit to your individual situation. We provide you with price/quality options for critical elements of the system during the design process, so you have control of the solution we provide. 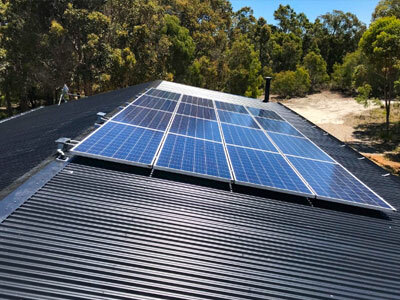 We supply off-grid power system solutions of all sizes, from small to large – full capacity systems designed specifically for your individual situation.